Why can't I see all the Pins on a Pinterest board? Sometimes if there are a lot of Pins on the board Tailwind's Publishing Extension won't pick them all up when you click the Tailwind button in the toolbar. 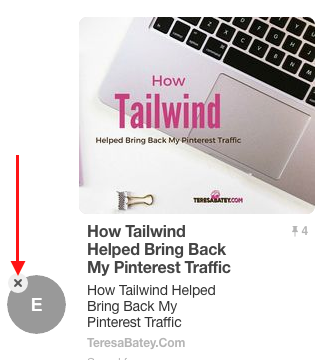 This is due to the resource-saving method Pinterest uses to help keep the speed of Pinterest. Its called infinite-scroll and it will only actively "load" a handful of Pins on the page and actively "unload" the other Pins as you scroll. When the "unload" part happens our extension cannot "see" these Pins anymore. Here are few things to try that tend to help, but depending on the amount of Pins on the board, we still may not get them all in one go. Close any "messages" (the send Pins feature) you might have open. 2. Go to the board page and then refresh the page (this will clear out any Pins that could possibly be loaded already in the background). 3. Scroll all the way down to the end of the board, and then scroll back up about half-way.